Mark Twain once said “If you pick up a starving dog and make him prosperous, he will not bite you. This is the principal difference between a dog and a man”. These words from the great American author surely make you think about the greatness of dogs. The largest breed like Mastiffs, Great Danes and St. Bernard are strong enough to attack you like wild animals. But once you give enough care they can be your best companion. The followings are 10 largest dog breeds in the world. The courageous French Mastiff dogs also known as Dogue de Bordeaux. This breed of dog is distinguished by their massive head and muscular body. The adult dogs can have a height between 20-23 inches and weigh up to 62.2 kg. Their skin is very thick and the bod features significant wrinkles on their face and neck. 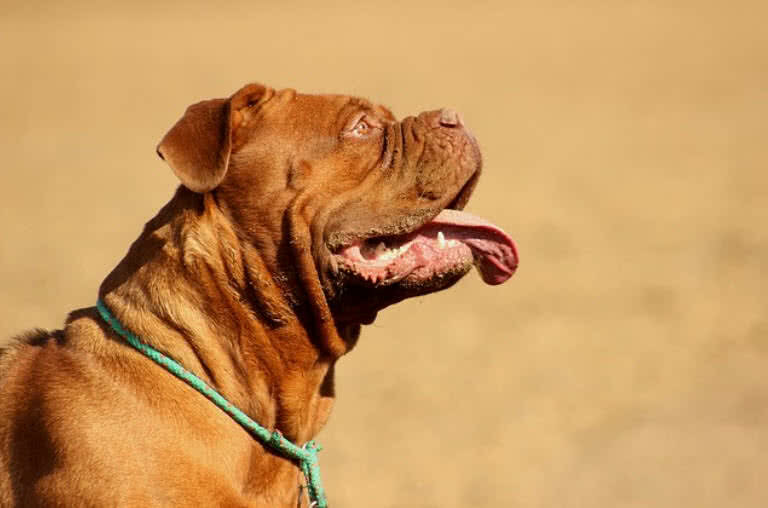 The broad and heavy head is the most attractive part of the French Mastiff breed. With small eyes, broad nose and short hanging ears their face always has a cute expression. The short and soft coat of this breed comes in shade of light fawn to dark red. The French Mastiff puppies should be trained and socialized well. Only the consistent training can raise them as best watchdogs. A well trained French Mastiffs also can be an effective rescue dog. The French Mastiffs are extremely loyal, protective and devoted to their family. They love to be with the family members. The French Mastiffs are also gentle with children and can get along with other pets in the family. The Great Pyrenees dogs have a great reputation for their protective nature and beauty. They have been working as watchdogs since 3000 B.C, to protect livestock. The large breed is very gentle, obedient and loyal. They can have an average height of 30-39 inches and weigh between 52 -59 kg. They have a very broad chest and wedge-shaped head. The attractive V shaped ears of this breed hang downwards. They also have long plumed tail and almond-shaped eyes. 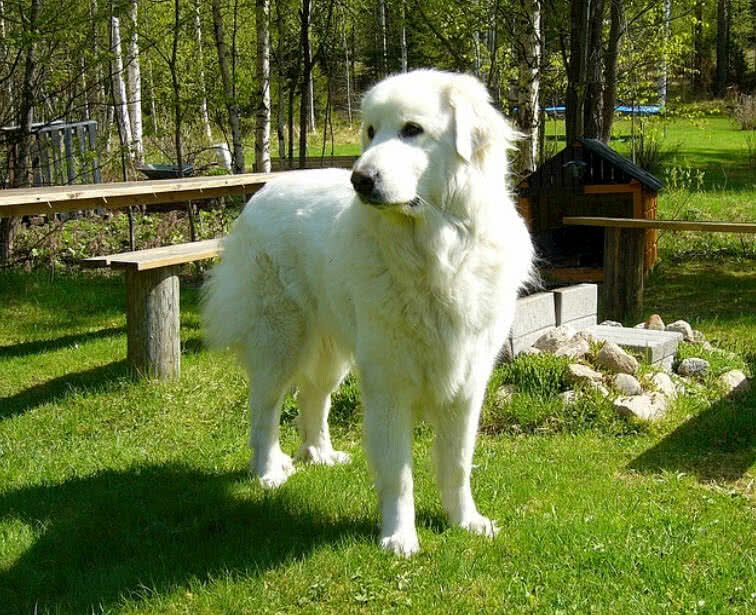 The Great Pyrenees dogs have weather resistant double-coat. Their undercoat is dense and woolly and upper coat is thick and long. The color of the coat can be white and different shades of grey. The masters have to train the Great Pyrenees dogs from the early puppyhood itself. Without proper training this breed can become very aggressive. They need space and can’t be considered as an indoor pet. The Great Pyrenees dogs have a great sense of hearing. They detect the intruders and other animals easily. They also bark a lot. This breed is very affectionate, loyal and devoted to their family. They also love to play with children and other pets in the family. The Anatolian Shepherd is a large and powerful dog breed native to Turkey. They originally developed to protect the livestock. This large breed weighs up to 68 kg. The Anatolian Shepard dogs are known for their agility and endurance. 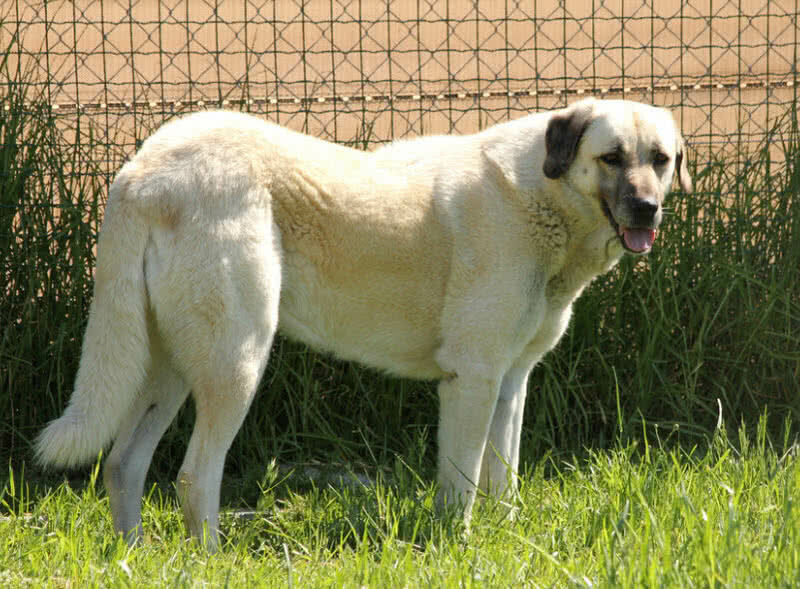 The Anatolian Shepard dogs have large and round shaped head. The color of medium sized eyes ranges from brown to light amber. Their neck is thick and powerful. The triangular shaped ears of Anatolian dogs can be 4-6 inches in length and hang down. The Anatolian Shepard dogs are very affectionate, smart, loyal and protective. They are very suspicious of strangers. They bark a lot on confrontation of intruders. The Anatolian Shepard dogs love to play with children. But the owners should be careful as this breed is large and powerful. Newfoundland is truly a large breed with an average height of 30 inches and weight between 60-70 kg. They have very strong bones. It is said to be Newfoundland is stronger than large breeds such as English Mastiff. The Newfoundland dogs have very broad and massive head and strong neck. They also have very deep chest and long thighs. The Newfoundland dogs also have thick and long coat, mainly comes in black color. The coat also needs regular grooming to keep the good condition. They are very sociable and intelligent. The Newfoundland dogs are very sensitive to their master’s voice and they can be trained easily. The Newfoundland dogs bark very rarely. But they are protective and very devoted to their family. They are smart enough to detect the threats in no time. As the Newfoundland dogs are suited well for children as they are very calm and friendly. But the supervision from the owners is also demanded because of the large size of Newfoundland dogs. The giant dog breed of the Leonberger is named after the Leonberg city in Germany. With the striking black mask and long coat this breed has a lion like appearance. Leonberger dogs have very muscular and well balanced body. They have a height of 26-32 inches and weigh between 45-77 kg. The Leonberger breed has a rectangular shaped broad head. The black mask is the pride of this breed and it gives them a great expression. They also have a long nose and medium sized ears. The thick and long coat of Leonberger breed is water-resistant and comes in yellow, red, cream and brown. This breed demand early socialization and training. 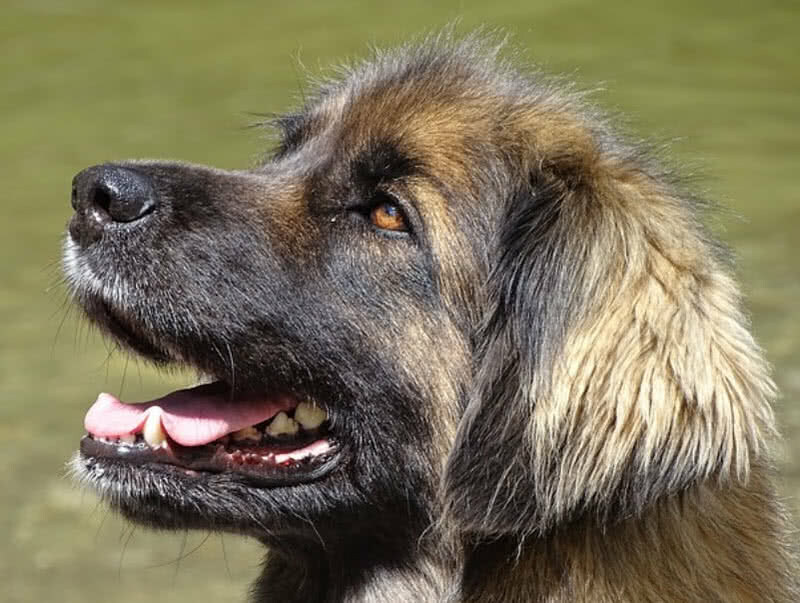 The loyalty and intelligence of Leonberger breed are unquestionable. A well trained Leonberger dog also has great patience. So that they are well suited for children. They remain calm or walk away when they face any provocation from the children. The Irish wolfhound is the tallest member of Sighthounds breed. This breed can be 28-35 inches in height and 53-84 kg in weight. They are native to Ireland and originally served in wars and hunting. They mainly used as a wolf hunter. The name also originated in that way. The giant-sized Irish wolfhound has a long head and muzzle. Their legs are long and strong. It let the Irish wolfhound dogs in gaining great speed while hunting a prey. The wide and deep chest also reflects the power of this breed. 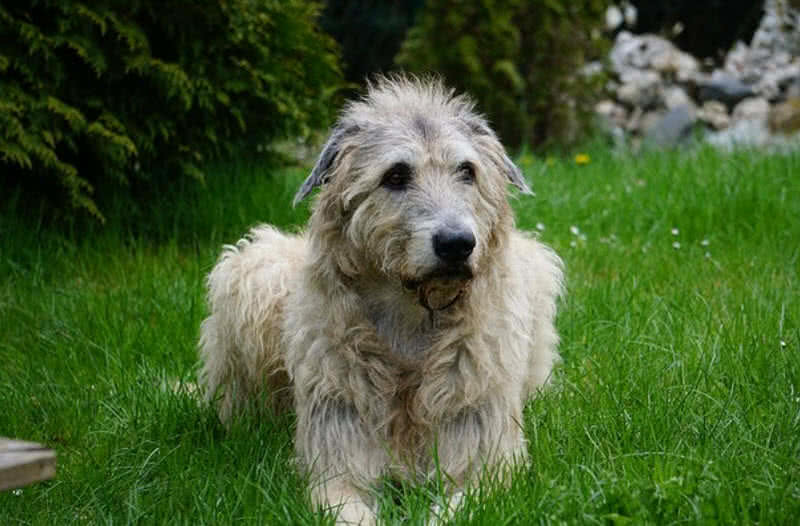 The Irish wolfhound matures very slowly, takes more than two years. The masters have to train and exercise them daily. They are very intelligent, patient and devoted to their family. This giant-sized Irish wolfhound can’t be a good watch dog. They don’t bark and not so aggressive. But their great size can be a threat to intruders. 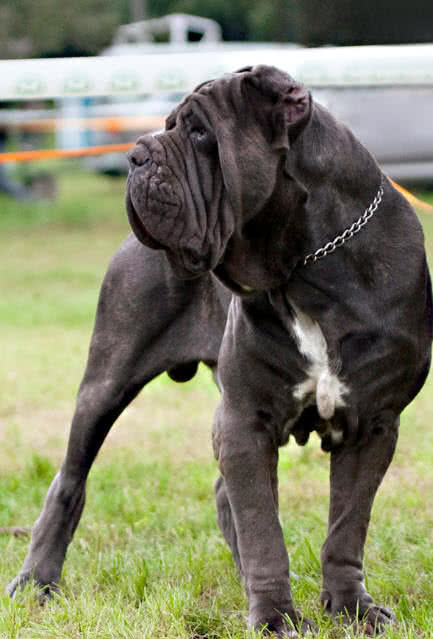 The Neopolitan Mastiff is a large guardian breed native to Italy. Romans once used this breed as war dogs. The height of this giant breed ranges from 26 inches to 30 inches and have a weight of 54.4-90.4 kg. The massive Neopolitan Mastiff dogs have loose skin and thick wrinkled face. They have a wide flat head and large nose. Their coat is dense and short, comes in grey, leaden black, brown and fawn. Like other watch dogs Neopolitan Mastiff demand early socialization and training. They are very intelligent, protective and family loving dogs. They easily sense the threats. This breed barks very rarely. But they are smart enough to let the owners know about the threats in no time. The Neopolitan Mastiffs are not suited for beginners. They demand dominant masters for training. A well trained Neopolitan Mastiff can a great pet. They also love to be with the children. Standing at an average height of 27-35.4 inches and weight of 64-91 kg the St. Bernard is truly a gigantic breed. They are originally developed for rescue operations on the Alps. They have very strong and muscled body. This breed can travel through deep snow for miles. The socialization and training is must for this giant-size dog. Without proper training the St. Bernard dogs can be destructive. 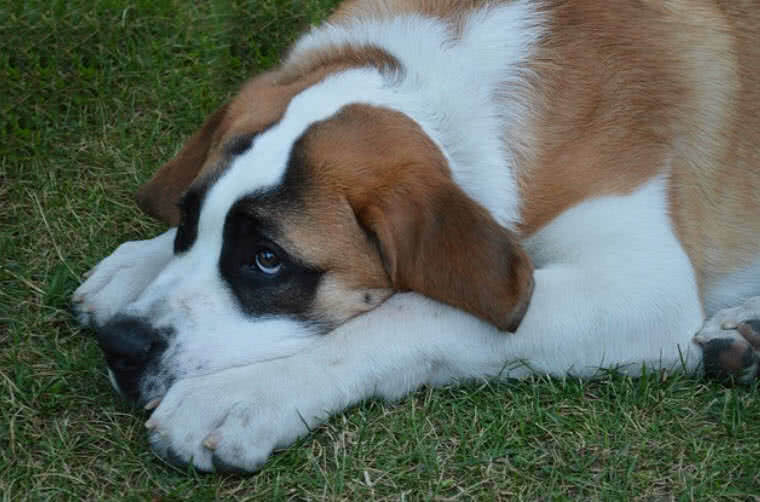 On the other hand a well-trained St. Bernard dog shows incredible patience and friendly nature. The St. Bernard dogs very devoted to their family. They can be quiet indoor dogs. St. Bernard dogs also get along well with children. But they are not so playful. Daily walking is must for this breed to keep them in good physical condition. The St. Bernard dogs are also good watch dogs. This giant breed can be a great threat to the burglars. Great Dane breed has a great reputation for its height and charming nature. This breed can be as tall as 3 feet or more. They weigh between 50-90kg. In 2012 the Guinness Book of World records entitles a Great Dane Named Zeus as the tallest dog in the world. The giant dog measured 44 inches on four legs. 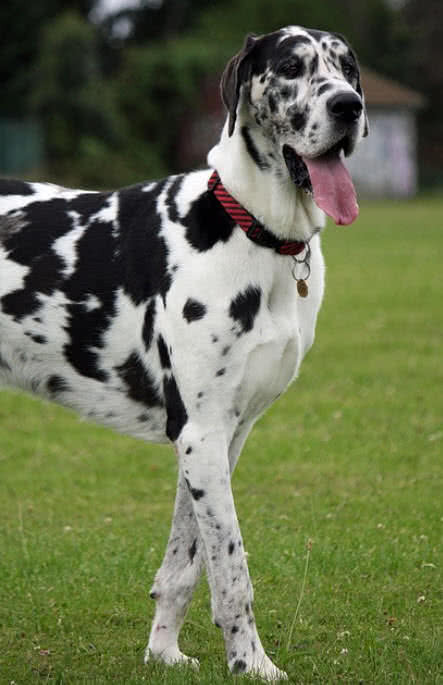 The Great Danes are originally developed as hunting dogs. They also depicted on Egyptian artifacts dating back to 3000 B.C. Unlike other breeds the Great Danes shows rapid growth. The Great Danes puppies will reach height of an average adult male within one year. Regardless of the giant size the Great Danes are playful and very gentle. They are very affectionate, charming and love to be around family members. Great Danes are very sensitive breed. They need attention from the family members. This gentle breed also can be a good indoor pet. The remarkably gentle Great Danes also work as therapy dogs. They are also good watch dogs. The Great Danes becomes so aggressive if the situation demands it. 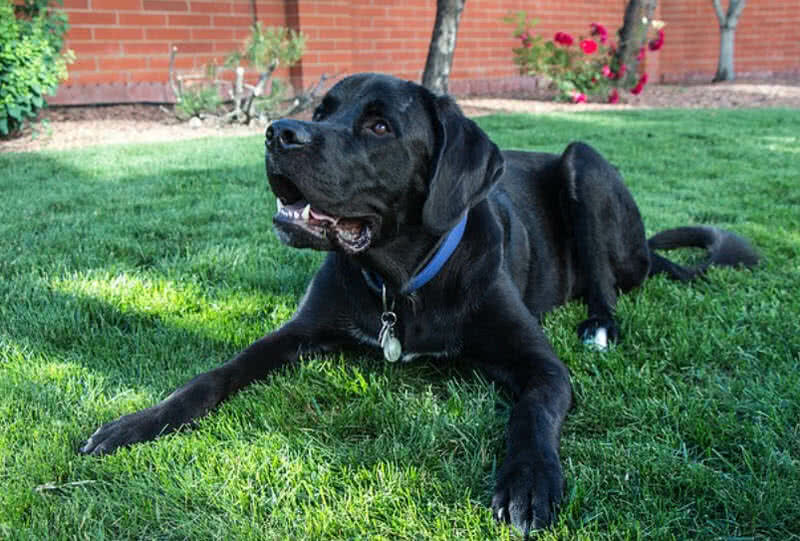 This playful giant breed also can be a great companion for children. English Mastiff is the largest dog breed in the world by considering the mass. This breed has an average weight of 68-110 kg and shoulder height of 27-33 inches. On 26th September 1981 the Guinness book of world records recognized an old English Mastiff named Zorba as the heaviest and longest dog in the world. The dog weighed 142.7 kg with a height of 27 inches at that time. The English Mastiff also called as old English Mastiff. It is one of the oldest breed in the world. They depicted on Egyptian monuments from 3000 B.C. The giant-sized mastiffs were also used by the Romans for gladiatorial fights. The English Mastiffs have a heavy square head. The ‘V’ shaped ears, black nose and black mask also give them a unique look. 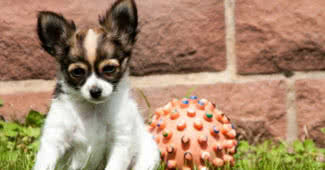 Their short haired coat comes in various colors including golden fawn, apricot and brindle. 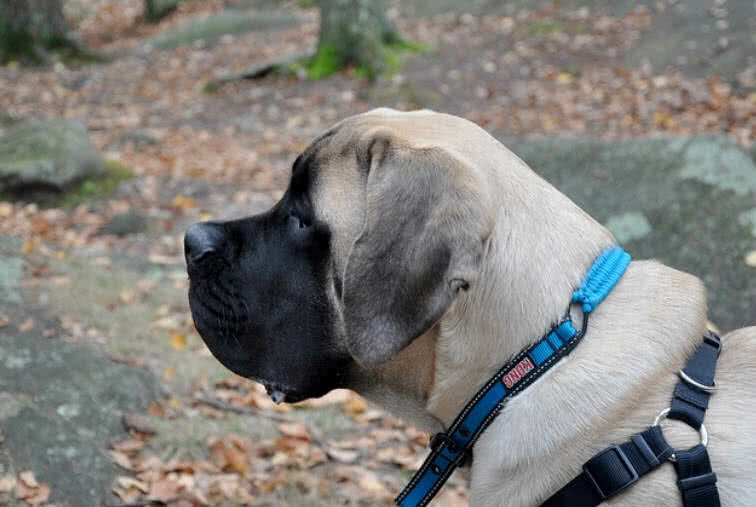 The English Mastiffs are very intelligent and born guard dogs. The Mastiffs bark very rarely. But they sense the threats without making mistakes. The giant size of Mastiffs can easily block or attack the intruders if needed.